Perfect for building custom length shielded CAT6 network cables. 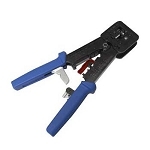 In addition, metal casing plugs work with any standard RJ45 crimp tool. Shielded CAT plugs are compatible with CAT rated cables such as 5, 5E and 6. For the fastest network performance, you must use the same plug type as the cable you are using. For instance, solid plugs are best used with solid wires and stranded plugs are to be used with stranded wires. Made with the highest quality 50 micron gold contacts for fast and reliable connections. With the durable shielded design, you can expect error free data transfer as well as long lasting plugs that will withstand everyday abuse. 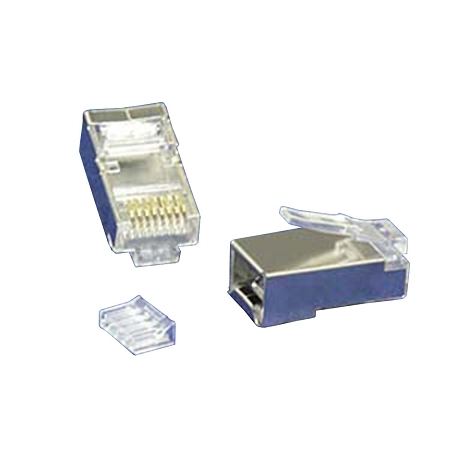 These CAT6 connectors meet Category 6 EIA/TIA 568 standards and come with a 25 year warranty.